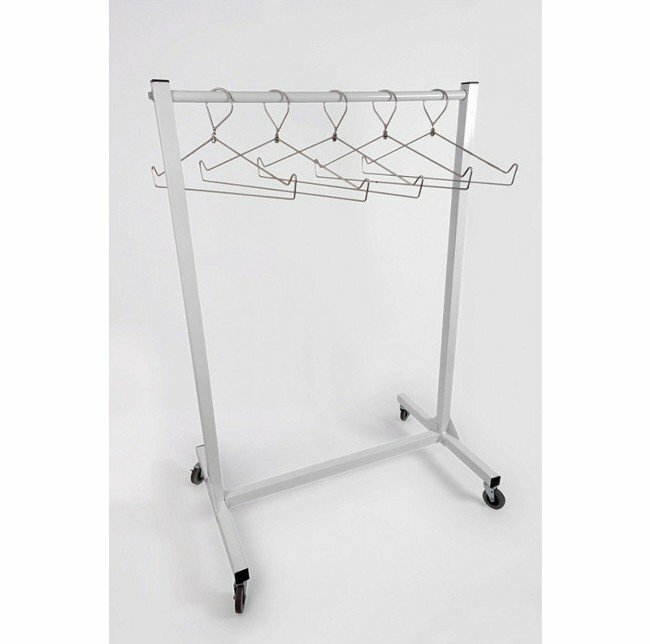 The Mobile Rack comes equipped with five closed hangers and holds up to 300 lbs. It is sturdy yet easily transported between work spaces. Additional open and closed hangers are available for sale separately and closed hangers are easy to install; simply remove one of the bolts on either end of the bar, slide bar out, add hangers, and reassemble!